When you’re away – and even when you’re home – the rodents will play! 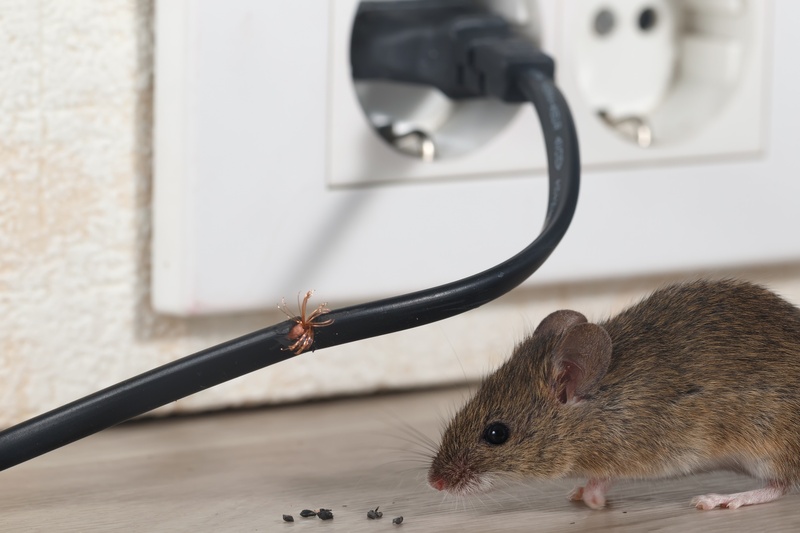 Rodent infestations can cause all sorts of destruction in your house, from messy droppings to structural damage and more. Unlike your auto policy, rodent damage and removal aren’t covered by most homeowner’s insurance policies. Since infestations and the damage that results from rats and mice are usually considered matters of home maintenance, the responsibility is typically on the homeowner to pay for repairs and pest control methods. Droppings – The most common sign you have a rodent problem is droppings. Droppings usually look like small grains of black rice and are often found where food is kept, under sinks, along baseboards, on top of wall beams, and inside cardboard boxes. Odd noises – Scurrying in your walls, attic, or heck, even right across your living room — mainly at night. If you’re worried about critters getting to family heirlooms or other valuables in your attic or storage areas, it’s best to store those items in sealed plastic containers rather than cardboard boxes that they can easily chew through. Gnaw marks – Rodents can cause major damage just by chewing. In addition, they can chew through materials you wouldn’t even suspect — including pipes and electrical wiring. Nests – You might not see the nest at first but you’ll notice materials typically used to build them (shredded paper, packing materials, cotton, pieces of fabric, and wall insulation) around your home. Tracks – Rats’ naturally oily fur attracts all kinds of dirt and grease. After a few trips between their nest and their food source, they often start leaving dark tracks or rub marks along your home’s floorboards and walls. These tracks are often signs of rats, as opposed to signs of mice, which can help you narrow down which rodent you’re dealing with. Simple home maintenance – Keep the house clean, practice good sanitation, and patch up any openings in the home. Rodent proof areas where you keep food by using plastic and glass containers instead of cardboard they can easily chew through. Since droppings can trigger allergies, carry harmful bacteria, and even transmit serious diseases like salmonella, it’s important to use gloves and antiseptic spray to quickly clean up the mess and dispose of it outside your house. Poisonous baits – These are not always the best options. Rodents tend to die in hard-to-reach areas and it’s difficult to locate the dead animal to get rid of the odor. Pets can accidentally ingest these products, as well. Ultrasonic sound – With this method, sound loses its intensity quickly with distance, and it can’t penetrate behind objects like furniture or walls. Rodents who are already in the home can quickly get used to any sounds that may initially affect them. Pest control professional – This is your safest option; they know how to locate rodents and they have the proper clothing and equipment to thoroughly extricate rodents from your home. This helps keep you and your family from being exposed to health hazards during the removal and cleanup process. It’s always wise to speak with your insurance agent about what kind of protection your specific home coverages can provide. Author Bio: Wendy Wagner is a senior Personal Lines underwriter and has been with West Bend for seven years. In her free time, Wendy enjoys snorkeling and swimming with manatees and sharks. Wendy and her family also love fostering dogs and finding them new homes.